“My passion for a clean plastic free ocean comes from our home and environment, As a child grow up living at the seaside in Shenzhen, I can recall the memory of my childhood swimming in the plastic ocean, and how every wave washed up more and more waste to the already filled beach. I was very sad and felt very disappointed. That was over 15 years ago, now every year it has been estimated that 8 million tons of plastic is thrown into the ocean. Billions of tons of plastic have been made over the past decades. And only less than 10% of the plastic we use can be recycled. Currently, there are, 400 dead zones across the ocean. Dead zones are parts of the ocean that are so polluted with trash/ plastic waste it is unsuitable for both humans and animals to live. Plastic is one of the most celebrated and widely used materials in modern society. But even though it is extremely useful and resilient, it is harming our environment on multiple levels. The natural resources on our planet earth are limited so we must make the most to conserve, recycle and reuse whenever possible”. Wise words indeed from a young graduate at the start of her career. Yunrao’s talent speaks for itself, her catwalk infused with sustainable fabrics and sumptuous gowns made a dramatic statement and marks a turning point in the history of fashion. 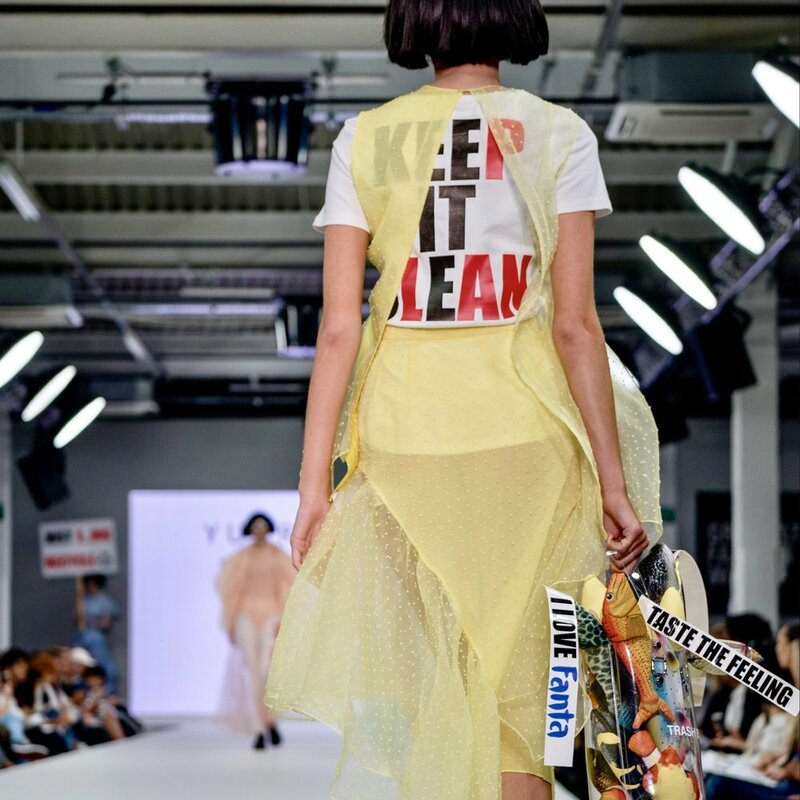 The designers of the future are passionate, resilient and focussed, consumers are too, and together they will force a sea of change within the fashion supply chain.